Two of my girls, Win & Want are allergy to certain protein like chicken so whenever I buy commercial treat for them, I have to check the ingredients carefully. 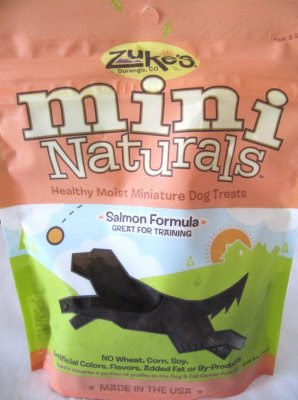 Zuke's Mini Natural - Salmon Formula is one of the treat that I feel great and safe to give to my dogs. 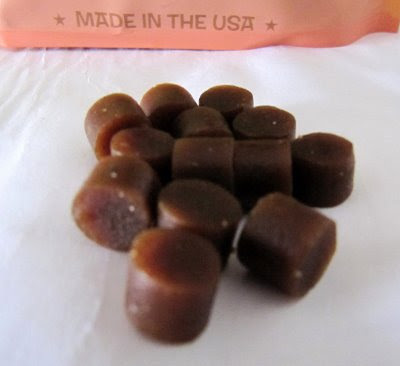 Each moist little morsel is packed with salmon and free of wheat, corn, soy, artificial colors, flavors, added fat or by products. However not everyone like this treat, my picky ones like Wally & Waren are not interested. Zuke is good product and BEST sell here in US.